Jose Canelos is the Senior Manager of Digital Product Development for Leading Hotels of the World. In this role, he is responsible for driving optimization of core product features, innovation and platform development, as well as oversee the product development lifecycle. 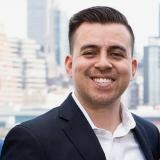 Prior to his role at LHW, Jose was a digital transformation consultant focusing on leading and implementing digital products and strategies for fortune 500 clients.